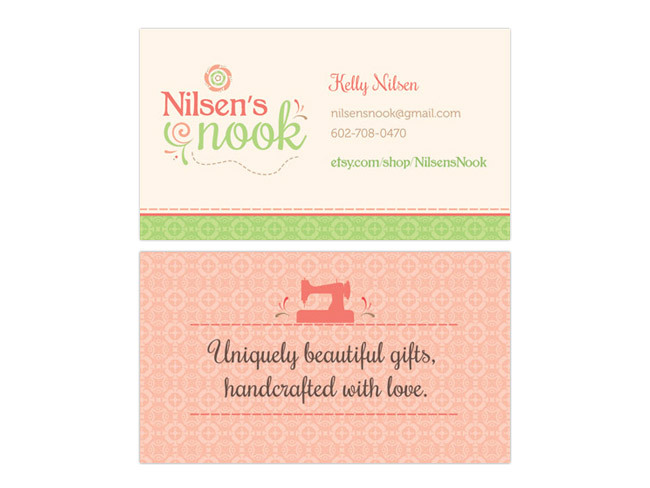 We created business cards for Nilsen’s Nook, taking style cues from the logo and continuing the great look. We added in some soft patterns and colors that complement the logo, including a vintage floral pattern on the front and back. We also echoed the sewing stitch line from the logo, to continue the handcrafted theme. A vintage sewing machine is seen pictured on the back along with the company’s tagline, and we loved the look it brings to the brand.